I love Charli xcx so much. Her whole style and look is so perfect. I'm not going to lie I love sucker and true romance as well. 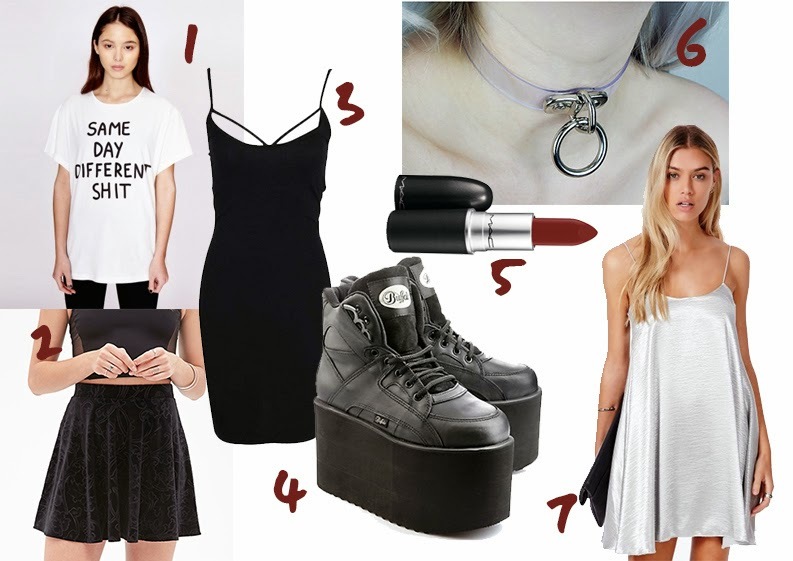 I thought I would do a post with some items inspired by her style. The whole 90's vibe she has going on is something I love so much at the moment. I just wish I had her body to pull it off. Not so sure if the 90's is a good thing. Love the black dress.